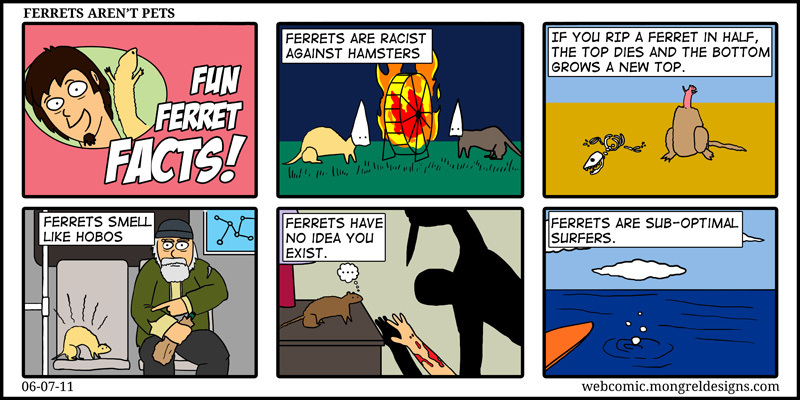 Mongrel Designs Webcomic: Webcomic 21: Ferrets! Please don't rip your ferrets in half. It's very painful to them.